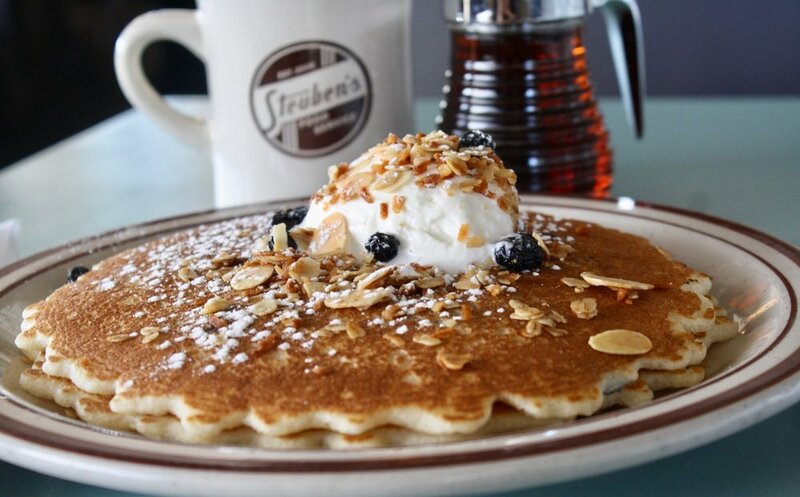 Steuben's Arvada Open for Breakfast Daily! Did you know that Steuben's Arvada is now open at 8am daily? We simply couldn't bear waiting until 11am to see you all week, so we've opened for breakfast. And boy, are we glad we did–who wouldn't want to start Monday morning off enjoying a Blueberry Pancake Stack w/ Chantilly Cream? As always, Steuben's Arvada opens for brunch at 8am during the weekend.